It's never too late to learn. That's why SCC offers continuing education classes through CBIZ. Look around to see what kind of short-term class fits you. Find and explore the courses you're looking for here. 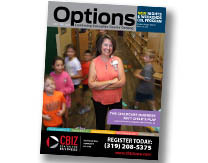 CBIZ offers training resources for businesses looking to improve or expand their services. Need help landing your dream job? CBIZ offers the career training you need. Select a category below to view our variety of classes & programs.